As you may already know, October is National Breast Cancer Awareness Month! From pink ribbons and clothing to special sporting goods and organized walks, October is well associated with Breast Cancer Awareness. Breast cancer is a very common, if not the most common, cancer among women but can affect men too! According to Breast Cancer.org, 1 out of every 8 women have the chance of developing invasive breast cancer at some point in their lives. At the beginning of 2018 the BreastCancer.org website estimated that there would be over 260,000 brand new cases of invasive breast cancer found among women of just the United States with a possible additional 60,000 plus non-invasive cases this year. The good news is that over 3.3 million breast cancer survivors are currently alive within the United States today! I know the statistics may frighten you a little or maybe you think you are too young to have to really worry about something like this, but I strongly encourage you to start thinking about prevention from a young age. Your actions now could quite possibly influence your future later on. First off, breast cancer can affect anyone of any gender, any race, any ethnicity and any age. Although it is not commonly found in women younger than 40 years old, it has been documented in younger women before. This type of cancer is the most common among women, followed by lung cancer, but approximately 2,470 men are diagnosed with this disease yearly, according to Virginia Breast Cancer Foundation. With that said, it is highly recommended that everyone should give themselves a “breast self-exam” monthly in order to stay as up to date as possible with their own body. If you happen to notice any of the following, then it is highly recommended that you visit your doctor as soon as possible. It is important to know that if you do appear to be experiencing any of these symptoms that it may not be breast cancer but another health issue, so be sure to check with your doctor on what the cause is. If you do find a lump it is crucial that you do not automatically panic, according to the National Breast Cancer Foundation, an average 8 out of 10 lumps found in breasts are not actually cancerous. It is also recommended to have a mammogram done as it can detect tumors before you can find them during a breast self-exam. If you want to learn more about possible symptoms, how to perform a breast examination on yourself and more then you can download your own “Know The Symptoms” guide which is located at NationalBreastCancer.org for free! If you want to help support those who are currently fighting the battle against breast cancer or help raise money for research and prevention, then check out a few of these products! Although this is a very short list, there are numerous other websites and stores that carry breast cancer awareness products, so shop around if you like! Vineyard Vines currently has shirts for men, women, and children in honor of Breast Cancer Awareness Month! The website states that a total of 30% of all proceeds from these shirts will be donated to “Bright Pink.” Bright Pink is a nationally recognized non-profit who focuses all of its efforts on helping prevent breast cancer as well as early detection of both breast and ovarian cancer in women. Lokai Lokai currently has 4 different breast cancer bracelets available on their website. The Breast Cancer Lokai, BCRF Swirl Lokai, Susan G. Komen Lokai, and the BCRF Lokai. With every bracelet purchased, Lokai states that they will donate $1.00 to the organization your bracelet supports, either Susan G. Komen or the Breast Cancer Research Foundation (BCRF). Although breast cancer may not even be on your radar at the moment, it is never too early to start checking! Remember to try and live a healthy life style as regularly as you can. A healthy lifestyle is one of the first steps anyone can take, not only to prevent breast cancer, but to help prevent numerous other diseases/health issues as well. Workout or be active for at least 30 minutes 5 times a week. Eat well by watching your sugar and salt intake. Get around 7 to 9 hours of sleep a night. Drink plenty of water, always watch your alcohol intake and try to avoid smoking and/or vaping. 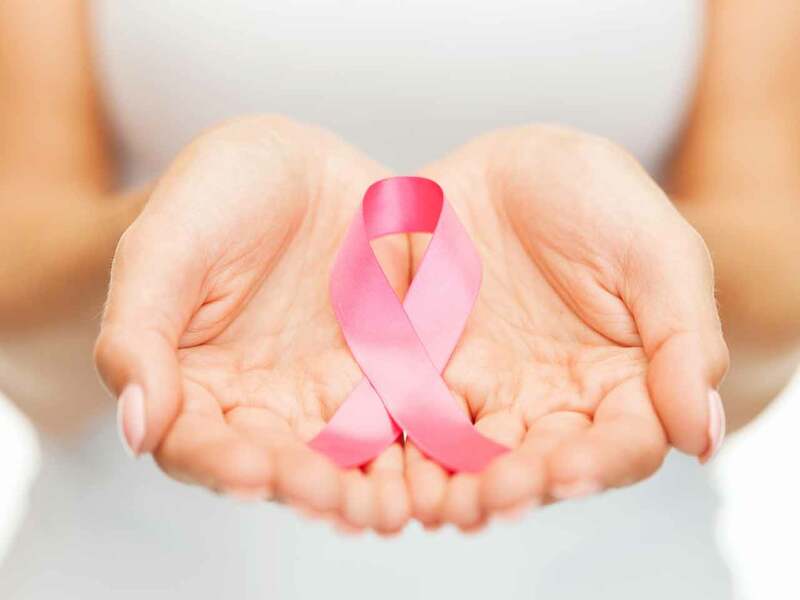 Even though breast cancer rates have slowly been declining since the early 2000’s due to screenings and early detection, it is still important to stay vigilant about your own body. Remember, October may be Breast Cancer Awareness Month, but it is important to think about it more than just one month out of the year.